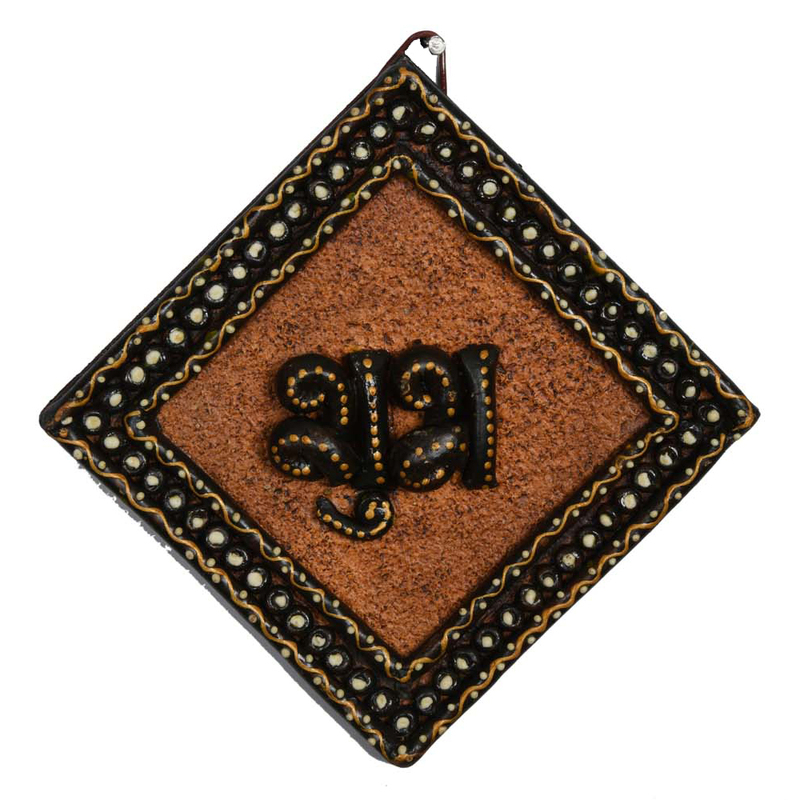 The piece of SHUBH LABH is made from wood & have brown background with beautiful Kundan work on it, which gives a special rustic appearance & also considered as the auspicious to hang inside the house. The two magic words in hindi made on a beautiful frame is definitely what you desire to have in your house. 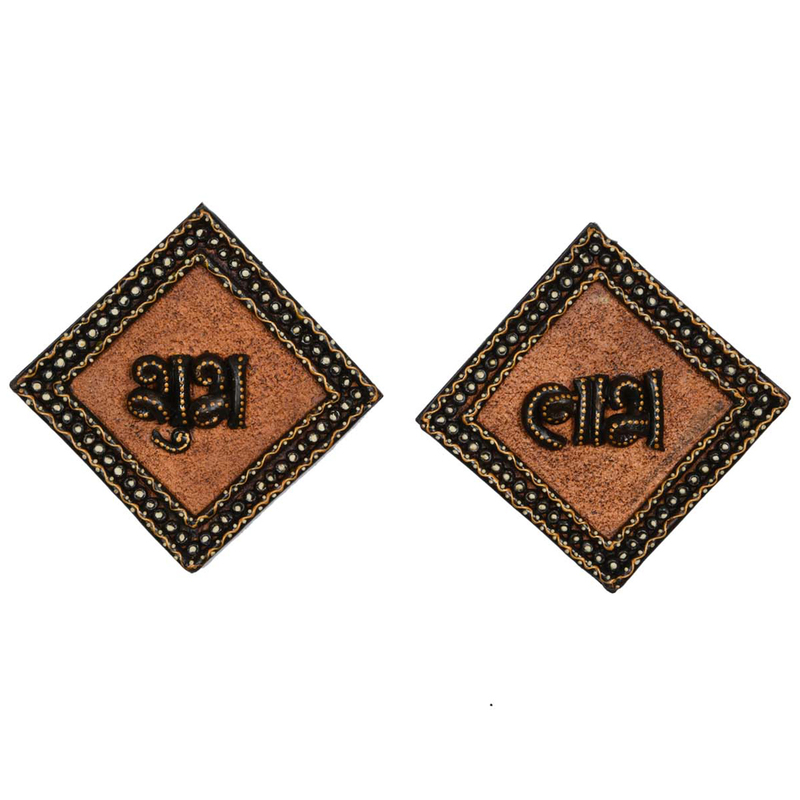 The brown colored strikingly gorgeous wooden handmade SHUBH LABH is something that you will definitely desire to have for your house. The Kundan work at Read More..the border of the show pieces gives it an alluring appearance. 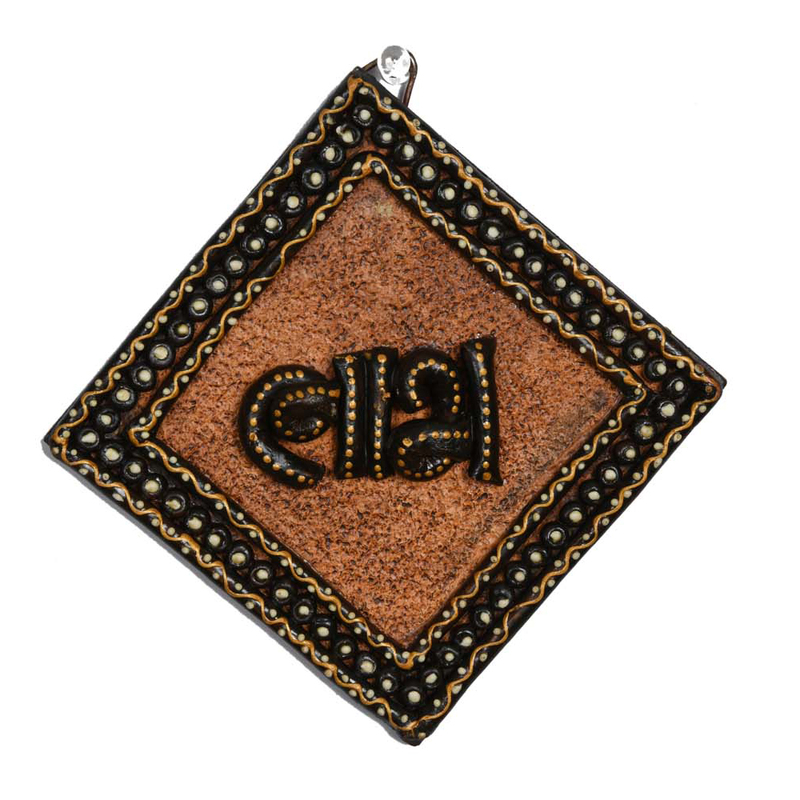 The auspicious words of “SHUBH” & “LABH” written in black color are the vivid example of exquisite style statement. Hang these on a wall to get the serene & peaceful vibe in your home. The perfect craftsmanship & high quality wood makes it durable & long lasting. Handmade decoration ensures long lasting glamour of this piece of art, which makes it more desirable to have. Show Less..